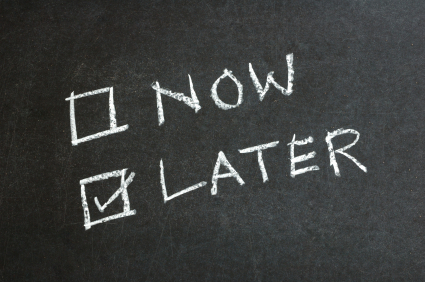 We tend to procrastinate for various reasons: Fear of failure, doing an unpleasant task, lack of self-confidence, etc. The list goes on and on. I recently read a post from a friend that asked, “Why not today?” Very good question. Are you afraid to fail? But what if we succeed. You’ll never know till you try. Imagine how that will make you feel. Do you lack self-confidence? Imagine the confidence you will gain when you finish the task and do it well. Visualize all the things you can accomplish—both simple and complex—if you start finishing tasks instead of putting them off.